The FORE School of Management, New Delhi Established in 1981, FORE is committed to the advancement of Management Education Research, Training & Consultancy contributing to the process of creating leaders in the global business environment. The total number of approved seats available for PGDM, PGDM – IB and PGDM – FM Programme is 180, 120 and 60 respectively. Latest: FORE School of Management has released the result for PGDM, PGDM-IB, and PGDM-FM 2019. Scroll down to check the same. Schedule for FORE School of Management Admissions 2019 is given below. FORE School of Management has released the result for PGDM, PGDM-IB, and PGDM-FM 2019. Candidates can check the result from the official website or from the link given below. Result: Click here to check the result of PGDM, PGDM-IB, and PGDM-FM 2019. 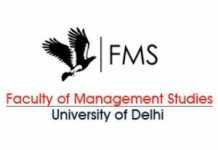 FORE School of Management has released a list of shortlisted candidates who are selected for the selection process for admission in the two-year full-time Post Graduate Diploma in Management in International Business. Candidates can check their names by entering the form Number or CAT / XAT / GMAT ID. For the sake of the candidates, direct link to check the same is also given below. Shortlisted Candidate: Click here to check the shortlisted candidates for the selection process. Candidates can apply online http://admissions.fsm.ac.in/. For online application, submission candidates need to pay either through net banking or credit/debit card. On successful payment, a system generated e-mail will be sent to the registered e-mail id of the candidate. This completes the application process for the candidate. Candidates can apply either in Self Sponsored Category or Company Sponsored Category. Change in category is not allowed. Step-2- You will find system generated application form with distinct “Form No.” which you should use for further correspondence. The form consists of two pages. On completion of the first page, you may proceed by clicking “Save and Continue”. You may modify the form until you have not made the payment. Once payment is made the information cannot be altered. Step-3- Click “Pay Now” for payment else you may “save and exit” for payment at the later stage. On successful online payment, an Email will be sent to your registered Email ID confirming receipt of application form and payment. Kindly make payments through Visa/Master Card preferably. If an email confirmation is required by you, please send an email to [email protected] mentioning the FSM Application Form No. 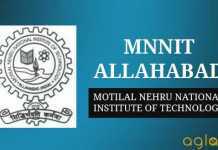 or CAT/XAT/GMAT ID, MOBILE No. and Name and we will confirm receipt of payment and application process completion. Candidates appearing for the final year degree examination in the year 2019 can also apply subject to furnishing the proof of having passed graduation by Tuesday, October 1, 2019, and obtaining minimum 50% marks in aggregate total of all the subjects studied failing which the provisional admission will be canceled and no fee will be refunded in lieu thereof. A candidate must appear in CAT-2018, XAT-2019 or should have a valid GMAT score in a test. The sample paper for the FORE School of Management Admissions 2019 has been released. Candidates can check the papers from the official website or from the link provided below. Click here to check the sample paper for Business Awareness Quiz. Click here to check the sample paper for Sample Wat Topics. Written Ability Test (WAT), General Awareness Quiz (GA-Q) and Personal Interview (PI). Final selection on the basis of CAT/XAT/GMAT score, performance in the WAT/GA-Q/PI, academic performance and work experience. If you have any queries please ask in the comments below.